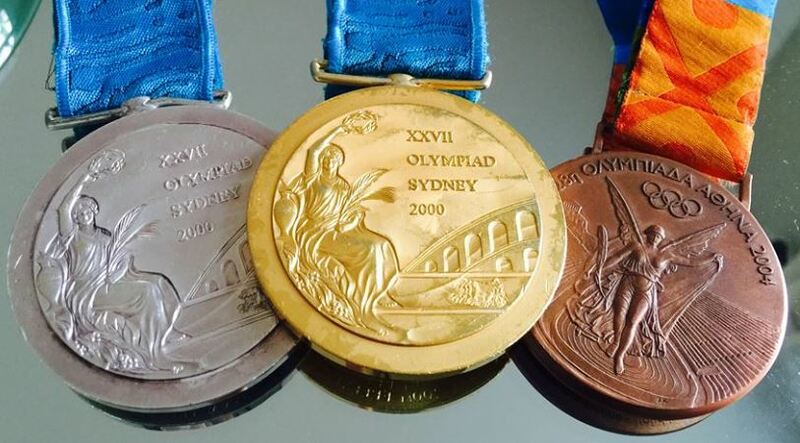 How persistence, determination and patience lead to Olympic Gold! This post is a special Gold Medal Moment feature on Diana Munz adapted from an original story by Bob Schaller on USASwimming.org. 20+ National titles. 16 International medals, an Olympic Champion! Growing up, Diana Munz was not the center of the swimming world’s media attention, nor on a high-profile club by any stretch. In fact, she trained with the same club she started with as a 7-year-old, the Lake Erie Silver Dolphins. When Munz was headed down the road with friends in a Volkswagen Beetle after a swim meet in July of 1999, she came up to a light. As she went through the intersection, a delivery truck, which had blown through a red light, came over the tracks and broadsided her car. “I remember being told how lucky I was,” Munz said. “Someone said, ‘If that truck would’ve hit you a half-second later, it would’ve killed you.” That split second allowed Munz to avoid being hit broadside right in her door. But she didn’t feel that “lucky” as she lay in a hospital bed, four vertebrae in her lower back compressed – a “broken back” the doctors called it. “It was scary,” she says quietly. “It was pretty bad in the hospital for a while.” Her mother stayed by her bedside that critical first night. The medical staff woke her up every 15 minutes and would ask her to move her feet and wiggle her toes. She only wanted to sleep. In the morning, the doctors told her the reason for the constant late night visits. She was preparing for Pan Pacs before the accident, a moment in time that nearly ended her swimming career and her life, had it not been for the impact avoiding her directly. “You broke your back, but you’re going to be all right,” she was told by her coaches. And she wasn’t done in the pool. In what her doctors call a miracle, Munz returned to the water, made the Olympic team, won a silver in the 400m free and then a gold in the 800m free relay. “To make the team in an event I didn’t think I’d make it in was really cool,” Munz said. The gold on the 800 free relay was memorable, but the silver in the 400 free, since it was an individual event, really crystallized what she had been through just to get to Sydney, let alone medal. Fitting, since getting back in the water and making the U.S. Olympic team had been a comeback worth remembering on its own merits. “I had worked really hard just to get back in the water – I went to every practice with the attitude of doing everything right,” she said. 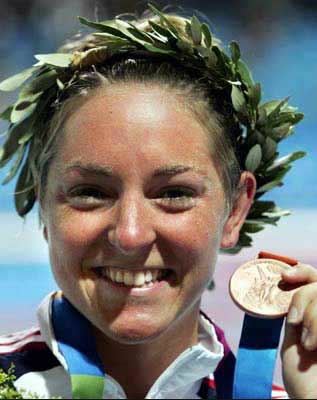 Diana completed her competitive career with three Olympic medals, a gold as a member of the winning 800-meter freestyle relay team at the 2000 Sydney Olympics, a silver for finishing second in the 400-meter freestyle at Sydney and a bronze for finishing third in the 800-meter freestyle at the 2004 Athens Olympics. She is a graduate of John Carroll University, attaining a degree in communications. 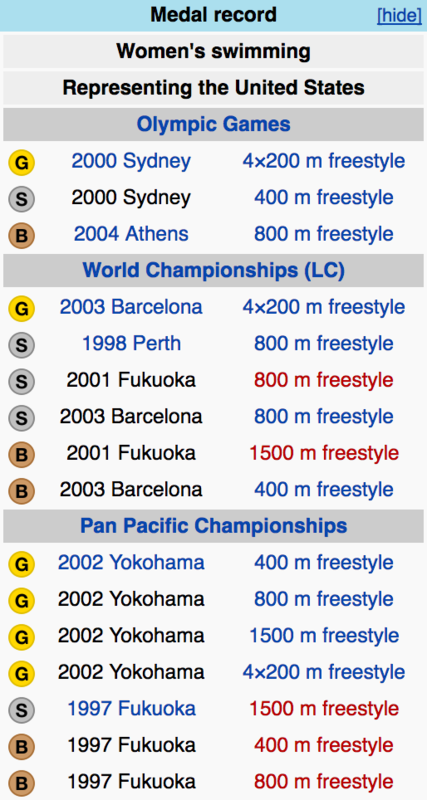 She retired from competitive swimming in 2005. 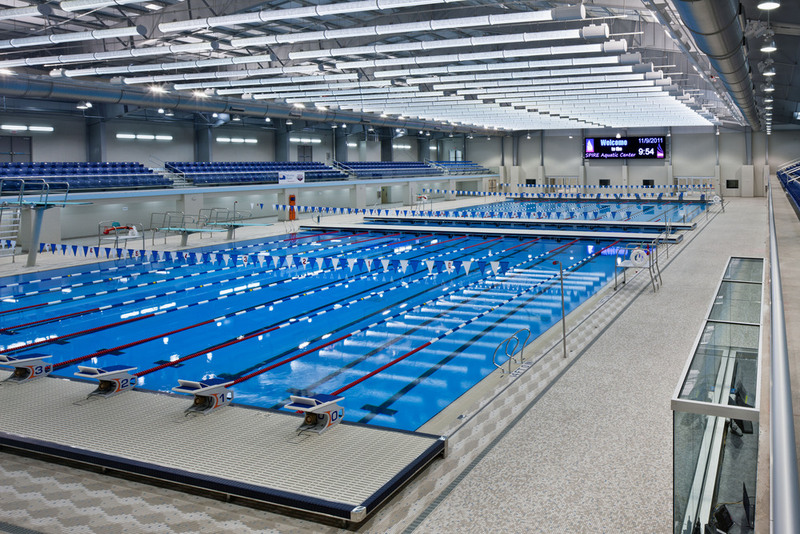 Diana is now the Director of Swimming at the SPIRE Institute, an athletic facility in Geneva, Ohio! She’s also a health and wellness coach with Diana Munz Wellness. She has one main goal: helping clients achieve a better quality of life through both their physical and mental well-being. A Gold Medal Moment can be any goal you wish to achieve. It’s something that you work towards everyday. It’s diverse, attainable and unique to the individual who will benefit most from its accomplishment. This concept is not limited to purely athletic endeavors. It could be anything from improving your best time or losing weight. There is no limit to what you can achieve, and I strongly believe that everyone has a milestone worth sharing. These moments are timeless, they challenge boundaries, and most importantly they push our perspective of what we think is possible!